Acne is one of the most common skin problems that people of all ages face. It forms when pores or hair follicles become clogged, usually with oil or dead skin. And can appear on the back, chest, neck and shoulders. As you age, your skin becomes thinner and can begin to look tired. Environmental damage also can take the glow out of your complexion and leave you with dull & tired skin. Unwanted pigmentation problems, like brown spots, patchy skin or melasma, can be caused by sun exposure and UVA rays that penetrate deep into skin. Pigmentation can occur anywhere from the face, body, décolletage and hands. Adequate hydration is one of the essential factors of the health and beauty of our skin. And good skin is usually defined as “glowing, dewy, hydrated and radiant”. 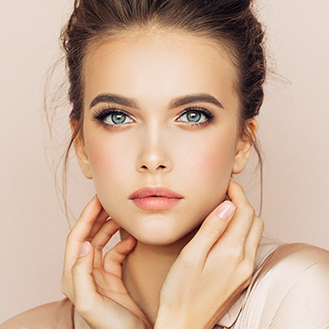 Uneven texture & enlarged pores are usually the effects of aging due to environmental factors and can result in us looking older than we really are. Scars are a natural part of a body’s recovery. When the deep dermis is damaged, the body forms new collagen fibres to heal the damage. Depending on various factors, such as genetics, the new scar tissue’s appearance will differ from that of the surrounding tissues.